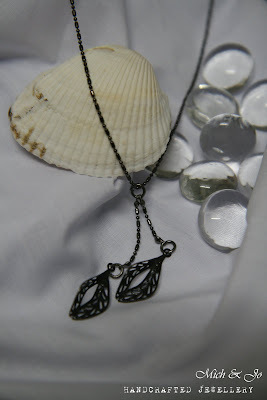 Calla lily filigree petals with matching gunmetal chain. Length is 16". If you need it to be shorter or longer, please leave a comment in the order form.